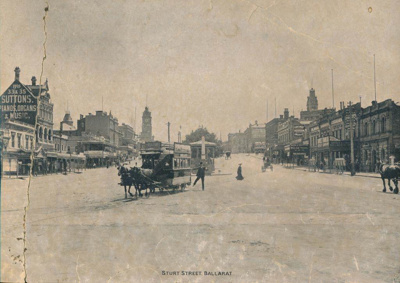 About this objectBlack & white photograph looking west along Sturt Street, Ballarat dated 1903. 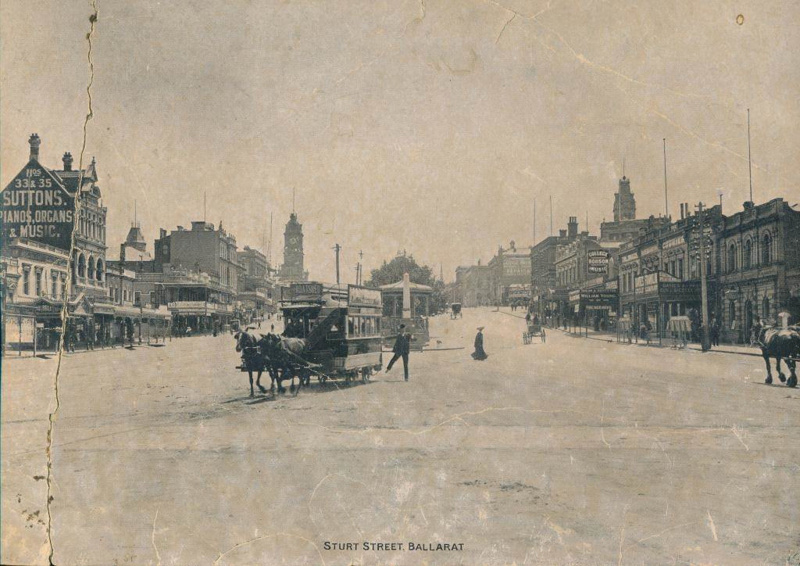 Photograph showing both sides of Sturt Street with Rotunda in middle. Horse - Drawn vehicles as well as a horse - tram (featured in foreground showing seating on roof) can be seen along Street. Some of the stores and businesses that can be seen are:- on left, Richards & Co., Photographers, Suttons Music Store, Phillips Hotel, Town Hall and on right Stag Hotel, Davies Franklin Cycle Company, Courier Office, Robson Music College, William Young Taylors. Inscription and Marks"Sturt Street, Ballarat". "1903" Has been written in ball point pen at bottom right hand corner.